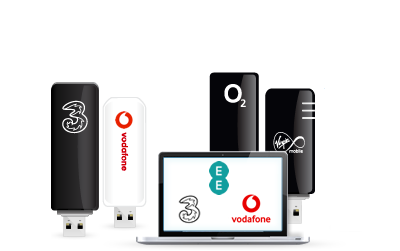 Pioneered in the UK by Three, a MiFi (sometimes spelled Mi-Fi), is a pocket-sized mobile Wi-Fi device that allows multiple users to connect to the internet wirelessly via a shared 3G or 4G mobile broadband connection. Although the technology that MiFis employ isn't always familiar to mass-market consumers, they have quickly become a handy addition to the range of mobile broadband products and services on the market. MiFi broadband customers can buy credit on a pay-as-you-go and one-month basis or sign up for a longer monthly contract just as they would with mobile broadband dongle deals. The main difference between the two is that while dongles only allow you to connect one device to the internet, a MiFi lets a number of devices share the same connection. How does a MiFi mobile Wi-Fi broadband device work? MiFis work in a similar way to wireless hotspots in that they let you get online when you are in restaurants, coffee shops and other public spaces in towns and cities. Simply put, a MiFi connects with cellular networks and then creates a small, localised wireless broadband connection within a radius of around 30 feet (roughly 10 metres). This broadband connection can then be used by devices in the area. MiFis let you use the same connection to get online with any mobile Wi-Fi enabled device, including laptops, mobile phones and game consoles. MiFi users do not have to rent a landline as they would have to if they were using a wireless home broadband connection. Those with pay-as-you-go and pay-monthly deals are also free to buy credit only when they need it, meaning that they do not have to pay for internet access that they do not use. This makes MiFis a great choice for families who need to connect multiple devices but don’t want to pay out for internet access that they may not use. It also means that MiFis are a cost-effective solution for students who are living in a shared house. MiFis do not need to be connected to the device for which they are providing an internet service, so users are free to place their MiFi mobile broadband in the optimum position in their room for internet connectivity. This can help with some of the network coverage problems that mobile broadband dongle users experience. Unlike dongles, MiFis do not require users to install any software on their Wi-Fi-enabled device. Consequently, owners can be up and running online within a matter of minutes of getting home with their new device. The cost of buying a MiFi with some providers is slightly higher than buying a dongle. But that's a small price to pay given that you'll be able to connect a huge range of devices — including iPads, smartphones or tablets — that don't support dongles. Allowing more than one person to use a connection makes it more likely that you'll reach your monthly download limit much faster. This means that you may have to be more vigilant to ensure you don't exceed your usage allowance. Will I be able to use 4G networks if I put a 4G SIM in my existing MiFi? Unfortunately not. Older MiFis use different technology and are not equipped to connect to 4G networks. Need a dongle instead? Check out all our dongle deals.